LESSONS FROM THE BLOWING DUST – He Said What?! I heard the wind picking up on that sweltering September day last year as I worked around the house. Our long, hot, and very dry summer was coming to a close. At least the calendar said that the end of this season was near, although the thermometer didn’t agree. Everyone was tired of the unrelenting heat and was wishful for some refreshing rain. 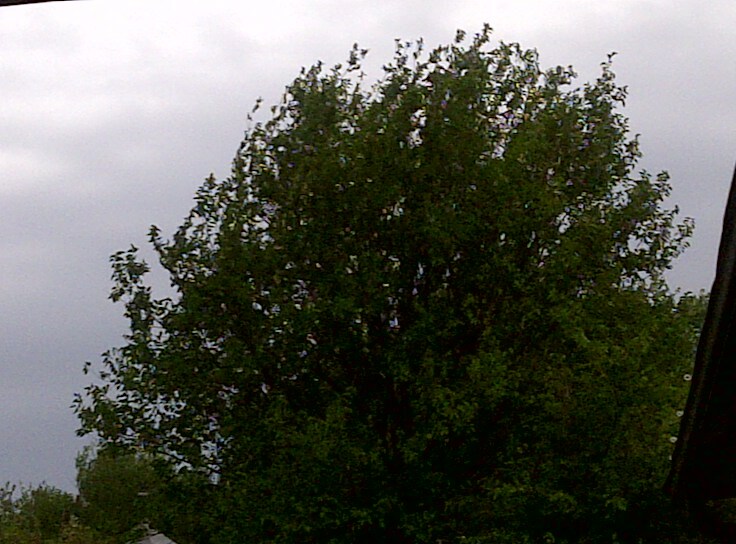 As I heard the wind outside begin to batter our house, I looked out the window, hoping to see the approach of rain. Instead I saw, rolling in from the farmer’s fields behind our house, an encroaching wall of haze. It was eerie to watch this cloud of dust from our upstairs windows as it was carried ever closer to our house, blown about by a force beyond its control. Furthermore, this whole scene was beyond my control. I could only stand and see this mass of dirt and dust being pushed straight toward us. 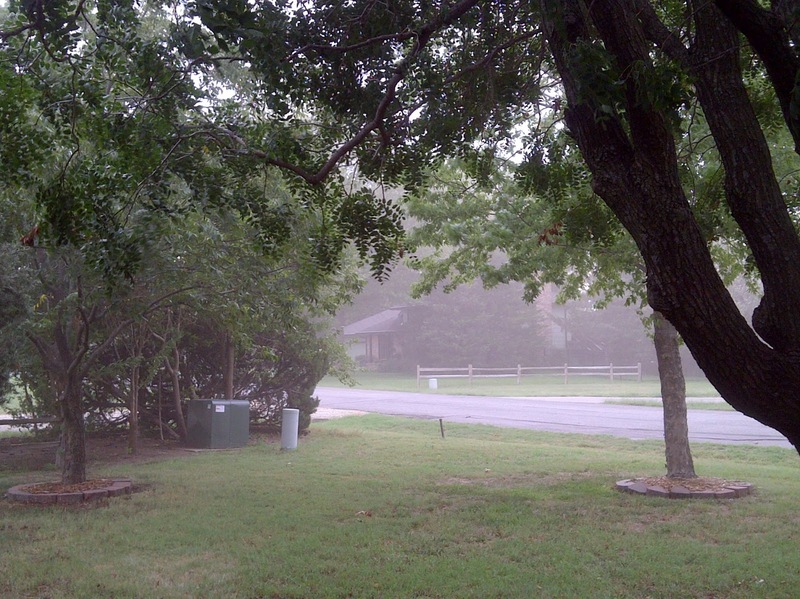 Soon our house was enveloped in a choking fog of dirt. 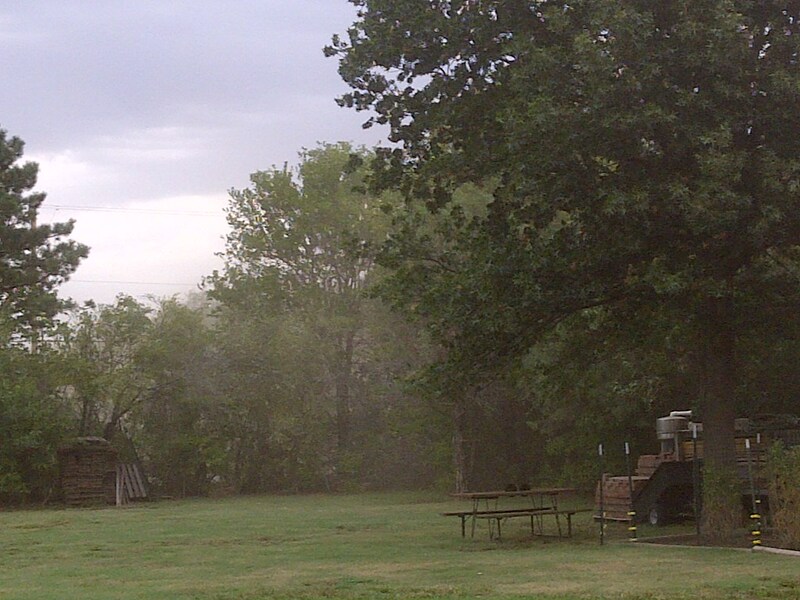 The trees whipped around and the dust covered everything. Nothing was spared from the layer of blowing soil that the ripping wind carried along in its wake. The whole scene was rather alarming as the sun was hidden and the dust created an almost twilight atmosphere. It was dirty and rough, and even stung the skin and caused the eyes to water. This was not at all what I had hoped that the wind was bringing our way. However, I soon heard a sound as I stood on our front porch and observed the unpleasant sight. Ever so softly, I heard it. Could it be rain? And as I watched and listened, I knew that in the midst of this dirty mess there was indeed the unmistakable sound of raindrops. The little pinging drops of rain soon turned into a shower and then into a nice downpour. What a welcome sight! The falling rain washed away the awful dirt, cleaning the atmosphere and the trees and the grass from the ugly coating of grime. The air cooled, and the scent became moist and sweet instead of dry and dusty. 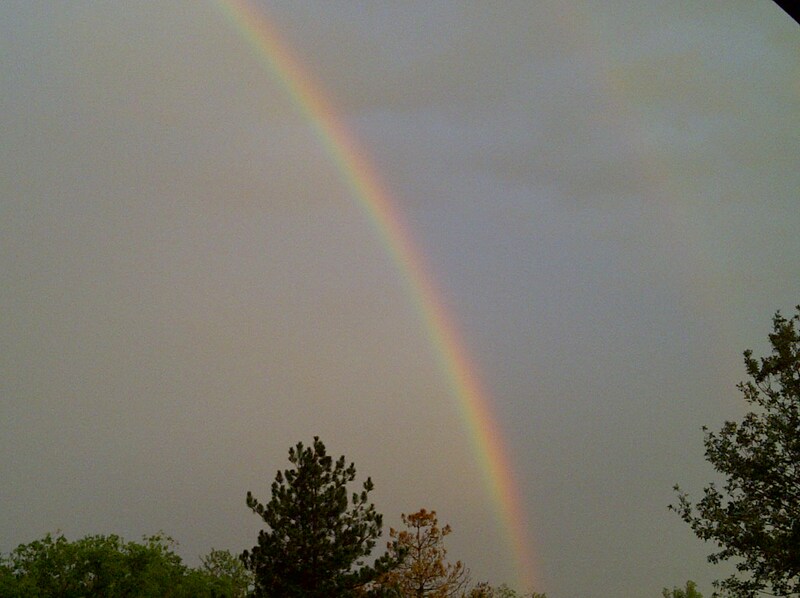 I stood on the porch, reveling in the pleasant change that the rain had brought. I was happy………the trees and grass seemed to glisten with relief……….and soon I heard birds singing with joy. 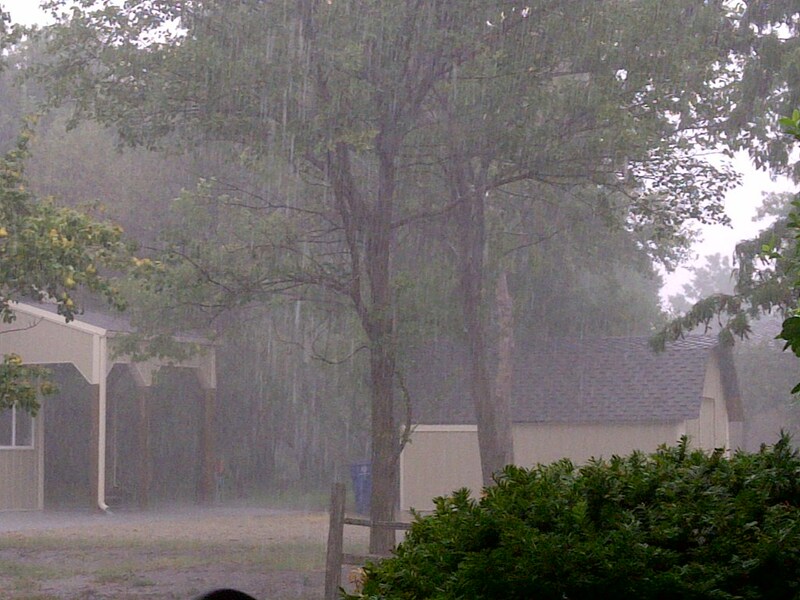 On so many levels, this burst of rain was exactly what we needed at that moment! Have you ever been so discouraged that you feel as if you’re looking out the windows of your life and seeing nothing but an approaching wall of dirt? Everything seems bleak as you think about your circumstances and problems. You can’t see any sunshine or any hope of relief, and as life’s issues come bearing down upon you, you can say with the Psalmist as he cried out to God – “Why do You hide Your face, and forget our affliction and our oppression? For our soul has sunk down into the dust; our body cleaves to the earth.” (Psalm 44:24-25) Oh God, you cry, where are You? Why do I feel so hopeless and so alone in this swirling mess of problems in my life? We’ve all been there. I know I have. Over in Psalm 119, the Psalmist in verse 28 says, “My soul weeps because of grief.” Beside that verse, I’ve written a note – a way I have of memorializing certain events in my life. By that verse I wrote – “March, 2002; worry for Aaron.” Aaron was a student in a school that was not a good fit for him. It was an extremely stressful time in our lives. Gary and I knew that Aaron was going to have to move to another school, and we were scared. We were tired and we were unsure of what the future held for Aaron. We felt like the writer in verse 25 of that chapter when he said, “My soul cleaves to the dust.” There it is again…….that hateful, choking dust that crowded out our view of God. Yet the second part of verse 25 says, “Revive me according to Your Word.” And the second part of verse 28 agrees – “Strengthen me according to Your Word.” I remember God’s faithfulness during that time with our decisions concerning Aaron…….and I remember so many other times in my life when God spoke to me or to our family through the reviving strength of His Word. His Word……..the living water of His Word……….that comes in and washes away the dust of fear and discouragement and sin. Even in those oppressive days when I don’t feel like reading my Bible or listening to God, I know that when I do take time to let Him speak to me, it’s as if refreshing rain is washing over my spirit and renewing my joy. The problems may not disappear, but the Solver of those problems speaks comfort and peace to my heart during those times. Resolve to stop…..to listen closely………to let God speak to you when all you see around you is darkness and stress. God longs to revive us and to strengthen us if we will but let Him. Meditate on what He says in the pages of scripture and to what He whispers in your heart, even in the midst of the choking problems you may be facing. He is there in the darkness, longing to refresh you and love you……..and give you a promise for tomorrow. Next Next post: Is Mustard….Mayo? Or Mayo……Mustard?